From the February 2015 Desktop News | Dr. 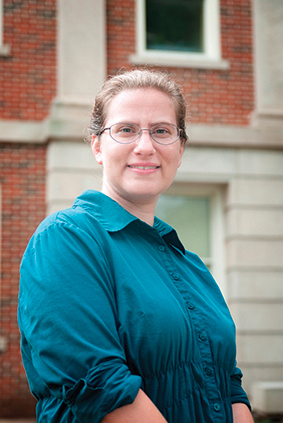 Dawn Williams, associate professor in the Department of Physics and Astronomy, has been named the February 2015 Woman Physicist of the Month by the American Physical Society’s Committee on the Status of Women in Physics. The committee recognizes each month exceptional female physicists who have positively affected other individuals’ lives and careers. The award is open to research physicists, students, instructors or any women doing physics-related work. Recipients are featured on the Women in Physics website and the APS Gazette as well as recognized at the society’s national meeting. Williams received her doctorate from the University of California Los Angeles in 2004 and became UA’s first female tenure-track physics professor in 2008. She helped to establish the UA Women in Physics group, which meets monthly and features talks from established female scientists to help students connect with female faculty in the areas of science, technology, engineering and math, or STEM fields, and women in physics-related industries. She is known for volunteering her time to supervise and mentor students and post-doctorate researchers transitioning to academic positions. Williams also organizes the calibration working group and co-organizes the tau and cascade working groups within the IceCube Collaboration, which operates the world’s largest neutrino detector at the Amundsen-Scott South Pole Station in Antarctica. The collaboration consists of more than 250 scientists at some 44 universities and laboratories worldwide. Her main research interest in IceCube is the detection of tau neutrinos, a type of neutrino which is unusually challenging to detect. Williams’ nomination for the award was submitted by Dr. Naoko Kurahashi Neilson, assistant professor of physics at Drexel University, and Donglian Xu, one of Williams’ graduate students. “I was very touched when I heard that they nominated me and very happy to get the award,” she said.  The American Physical Society strives to be the leading voice for physics and an authoritative source of physics information for the advancement of physics and the benefit of humanity. The Committee on the Status of Women in Physics was founded in 1972 to encourage and develop the careers of female physicists. For more information on the committee or the Woman Physicist of the Month award, visit http://www.aps.org/programs/women/index.cfm. For more information on the UA Women in Physics group, go to http://physics.ua.edu/wphys/.